The Stand Up Guys Junk Removal Crew covers all of Belleair and the surrounding cities. We offer a full junk removal and hauling service to all the residents and businesses of Belleair. This includes removal and disposal of any type of household items, appliances, furniture or even yard debris. 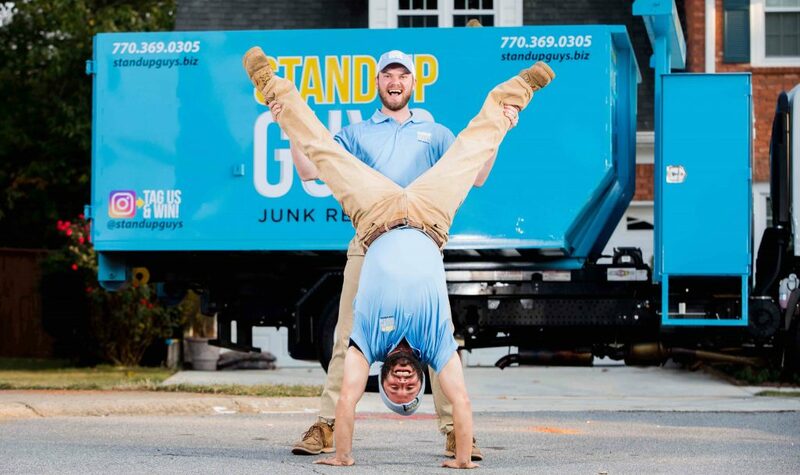 There isn’t anything The Stand Up Guys Junk Removal Crew WONT take in Belleair. Not only do we haul and dispose of anything for the people and businesses of Belleair, but we also offer outstanding customer service as well. We have built a strong rapport and reputation with Belleair because of our efforts towards making sure all our customers are exceptionally happy. The Stand Up Guys are always prompt, clean cut, respectable and consistently offer you the best possible price. This is just part of what we do to make our Belleair customers happy. It doesn’t matter if you are looking to get rid of one small item, like a refrigerator. Or even if you’re looking to have your entire garage cleared of all the junk you’ve been collecting for the last 20 years. Either way, The Stand Up Guys are the ones for the job! Belleair is a smaller city in Pinellas County with a little over 3,800 residents and only 2.8 miles of actual land. It might be small, but it is well known as one of the most beautiful areas in all of Pinellas. Belleair is known for it gorgeous homes, clean streets, nice people and absolute beautiful views. Some say the greatest way to experience the beauty of Florida is to see it from Belleair. The Stand Up Guys cover all of Belleair from our central office located at 9600 Koger Blvd N, St. Petersburg, FL 33702. You can call us anytime to get a free estimate on all your junk removal needs at 727-755-4485.